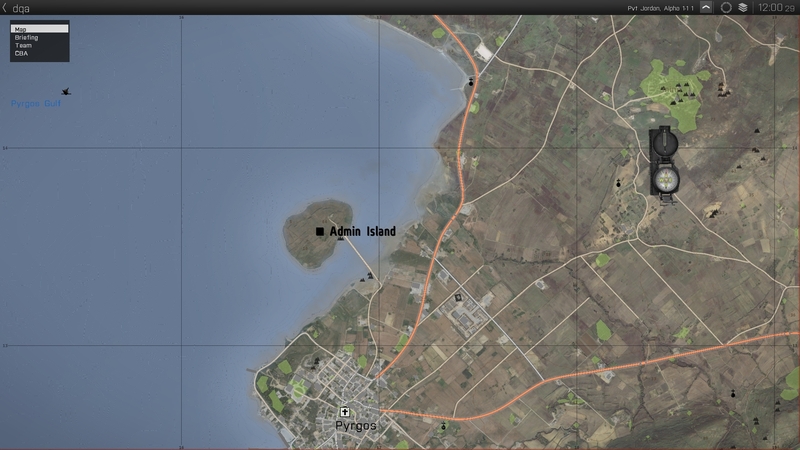 hey guys just a quick question, on one of the isands on altis i would like to make it like an admin island so when you open your map it says admin island on it. Is there away that this can/could be done . Just place a marker over the island in the editor and save it towards your mission file; thirty seconds work. with the mission file part i know that there is class groups,class markers and that ,so in what area would this go towards as i have added extra spawn points which were easy to do. just want to make the island outside Pyrgos an admin island. thankyou so much for the info mate. It's also where you add any markers you want to add to the map.